When most people think of citrus, the usual varieties first come to mind: lemons, limes, oranges, and grapefruits. However, there are many different kinds of citrus fruits in the Citrus genus. The citrus fruits, which are modified berries called hesperidia, come in all shapes, sizes, and colors. 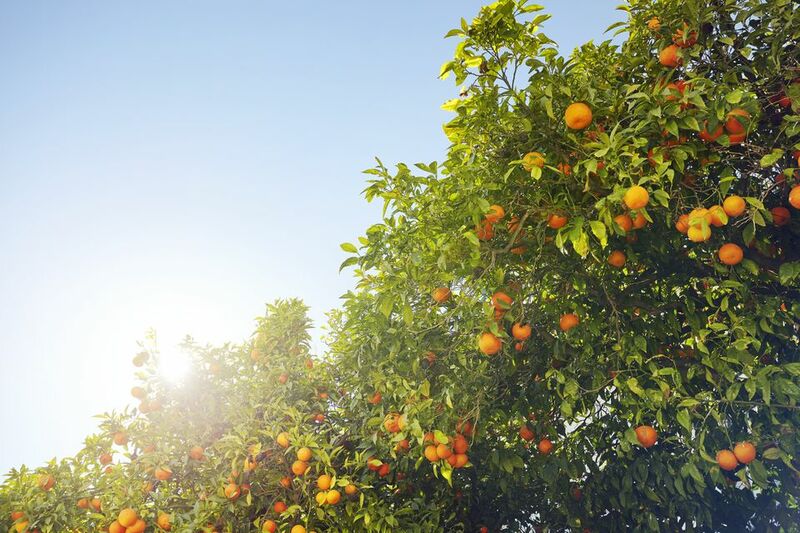 Most citrus plants grow best in full sun and in USDA plant hardiness zones 9 through 11, but some can tolerate a little shade, and some are a bit hardier than others. Bitter orange (Citrus aurantium) may also be known as sour orange or Seville orange. This orange is too sour-tasting to most people for fresh eating. It is the best choice of citrus for making orange marmalade. The blood orange is a variety of the sweet orange (Citrus sinensis). The most common varieties are the Moro, the Sanguinello, and the Tarocco. The red coloring is due to the high anthocyanin content. Calamondin is a cross between a sour Mandarin (Citrus reticulata) and a kumquat (Fortunella marginata). This citrus is not tolerant of freezing or windy conditions. It is drought-tolerant once established but especially needs water during fruiting for proper formation. Citron is one of the oldest kinds of citrus fruits. It is often candied and used in desserts, as the citron is mostly rind and offers little or no juice. Grapefruit is intolerant of freezing conditions. The grapefruit is believed by most botanists to be a cross between a pummelo and a sweet orange. The pulp may come in shades of white, pink, or red. Key lime is a famous species of lime (Citrus aurantifolia) that may also be called Mexican lime or West Indian lime. It is sweeter than the for Persian lime and is well-known as the base ingredient in a key lime pie. Technically speaking, the kumquat (Citrus japonica) is not a citrus fruit, but it is very closely related. It was separated out into its genus around 1915 and formerly classified as a Fortunella. The name kumquat means "golden tangerine" in Cantonese. There are also crosses such as the orangequat, calamondin, and limequat. One of the most for citrus fruits of all is the lemon. The juice, pulp, and peel for in a wide variety of recipes. Lemons are not tolerant of freezing or windy conditions, but they can be hardy during drought if they receive enough water during fruiting for proper formation. The mandarin orange (Citrus reticulata) has three classes: mandarin, tangerine, and satsuma. All are commonly eaten by themselves or used in salads and have a sweet juicy flavor that is great for snacking. The orange, or Citrus sinensis, is the for sweet orange. Two of the most well-known varieties of the orange are Valencia and Washington Navel. The Persian lime (Citrus latifolia) is also known as the Tahiti lime. It is usually seedless and is widely used for lime juices. This is the kind of lime you will usually see in the grocery store or used for a garnish on cocktail drinks. The pummelo (Citrus maxima) is the largest of the citrus fruits. It is the ancestor of the grapefruit and tangelo. The tangelo (Citrus paradisi × Citrus reticulata) is a cross between a mandarin orange and a pummelo or grapefruit. The size depends on the variety chosen; they can be as small as an orange or as large as a grapefruit. Varieties include 'Minneola' and the Ugli fruit. The tangerine is simply one class of the mandarin orange (Citrus reticulata), usually with red-orange skin. The most well-known variety of tangerine is the Clementine. The Ugli® fruit (Citrus reticulata x Citrus paradisi) is the brand name for a Jamaican tangelo hybrid said to have been a cross between the bitter orange, grapefruit, and tangerine. The name comes from its unsightly appearance. It is typically 4 to 6 inches in diameter. The yuzu isn't usually eaten fresh. Instead, the juice and rind are used in preparing Asian cuisine, including drinks, sauces, and sweets. The oil from the skin is also used as a fragrance. Some interesting recipes to try with yuzu include beef shabu shabu, Modern Smuggler cocktail, and ponzu sauce.